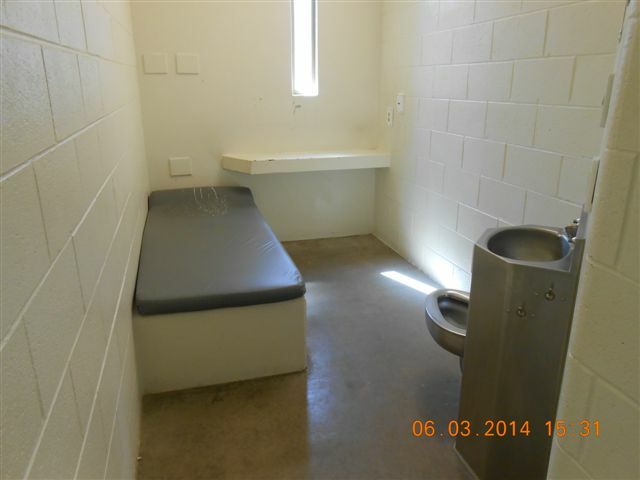 A segregation cell at Waupun Correctional Institution in a June 2014 photo. A recently obtained Department of Corrections memo calls new disciplinary rules, scheduled to take effect Jan. 1, “an excellent opportunity to focus on making positive changes” to the state’s use of solitary confinement, which in Wisconsin is called segregation. Photo courtesy of Wisconsin Department of Corrections. The Wisconsin Department of Corrections is quietly preparing to make significant changes to its rules governing inmate discipline, amid heightened discomfort over the state’s use of solitary confinement. “The disciplinary process should be used as a means to motivate the inmate to alter their negative behavior, with long-term correction of the behavior as the end goal,” wrote Cathy Jess, administrator of the DOC’s division of adult institutions, in a Sept. 25 memo to staff. Jess’ memo, obtained by the Wisconsin Center for Investigative Journalism, sheds light on the DOC’s revamping of its disciplinary code, last revised in 2001. The new code calls for speeding up the process of imposing discipline for minor offenses, while upholding the ideals of rehabilitation and fairness. Prison officials have declined to discuss specifics and it remains unclear what changes will occur. But Jess calls the new rules, scheduled to take effect Jan. 1, “an excellent opportunity to focus on making positive changes” to the state’s use of solitary confinement, which in Wisconsin is called segregation. This has been a topic of growing state and national concern. “Long-term segregation placements have been shown to be ineffective in terms of discipline and do not serve our corrective or rehabilitative goals,” the memo states. About 1,500 of the state’s 22,000 inmates are in segregation, locked in their cells for upwards of 23 hours a day. Segregation is commonly used to discipline inmates for violations of prison rules, with sentences of up to 360 days. A 2013 report by the Association of State Correctional Administrators found 118 Wisconsin inmates who had been in segregation continuously for more than two years, including 14 for more than a decade. The prolonged use of solitary confinement has been blamed for causing and exacerbating mental illness. A United Nations expert has advised that stays of longer than 15 days “can amount to torture” and should be prohibited. In Colorado, where former Wisconsin DOC Secretary Rick Raemisch now heads the prison system, the number of inmates in solitary has been cut from 1,500 in 2011 to fewer than 500 today. New York, Maine and Virginia have also taken steps to alter or reduce the use of solitary. In April, Wisconsin DOC Secretary Edward Wall wrote an article to staff addressing this issue. Despite these internal communications, the DOC has been publicly tight-lipped about policy changes regarding its use of solitary confinement. Wall declined an interview request and agency spokeswoman Joy Staab has declined to answer questions about specific changes. The DOC took more than two months to fulfill an Aug. 1 request from the Center for records on the matter, then provided only records up until the time of the request. Still, nearly 250 pages of records were released. These include a four-page document, “Reforming Segregation in Wisconsin,” containing what Wall described in an email as his “rambling thoughts” on the issue. It was sent to senior DOC staff as well as to Mike Huebsch, secretary of the state Department of Administration, and Eric Schutt, Walker’s chief of staff. A 2009 Wisconsin state audit found that nearly half of all inmates in segregation were mentally ill, compared to a third of the overall prison population. In July, the Center published a three-part series that identified 40 allegations since 2011 of abuse of inmates by guards in the segregation unit at Waupun Correctional Institution. DOC officials accuse the inmates of lying, but prison records document the frequent use of force, including inmates being pepper sprayed, tasered and thrown to the ground or into walls. The series sparked calls for an outside investigation by Wisdom, a faith-based prison-reform advocacy group and expressions of concern from Democratic state lawmakers. Wisdom has also called on the state to adopt strict limits on the use of solitary confinement throughout the state prison system. One Wisdom-backed reform is to make sure that inmates are never released directly from segregation into the community. In a June email to DOC staff, Jess said this practice “takes place much more often than it should” and urged steps to prevent it. Waupun Warden William Pollard speaking at a Memorial Day event. Photo by Hank Snyder/Beaver Dam Daily Citizen. Wall has received a number of positive responses to his stated desire to change how Wisconsin uses segregation, the released records show. “Thank you for your leadership, insights and perspectives on this issue,” emailed a psychological staff worker at Jackson Correctional Institution in Black River Falls. There are also signs that the issue drew internal resistance. “I saw the recoil on some when we discussed it,” Wall wrote in one email, dated June 26. In July, at Wall’s instigation, the DOC named a 19-member “Segregation workgroup.” It was charged with reviewing state segregation practices, including conditions of confinement, length of sentences and mental health treatment. The group held its first meeting in August. A discussion topic list included calls to use segregation more narrowly, for rehabilitative ends, not “punishment or retribution.” The DOC has not released additional information on the group’s work. All of the workgroup members are state employees. The co-chairs are William Pollard, the warden at Waupun Correctional Institution, and Kevin Kallas, the DOC’s mental health director. Wall responded: “I agree Bill. Unfortunately, I think our progress is going to end up being directed by someone else soon.” He did not elaborate. The rule changes referred to in the memo from Jess were initially submitted to the Legislative Council Rules Clearinghouse in March 2011, with hearings held the following month. 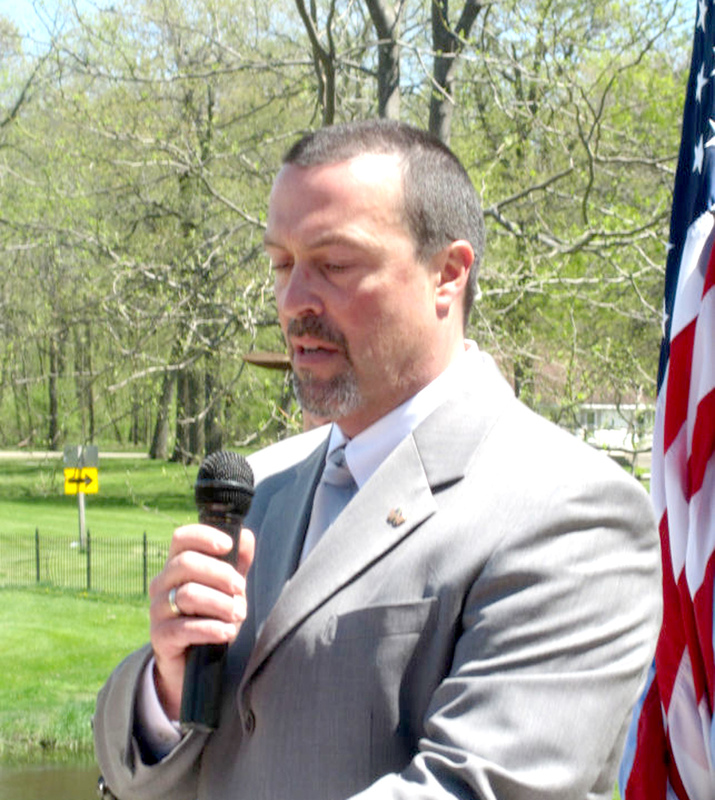 The rules were received by the Legislature in late March of this year and approved with minimal committee involvement. A rule summary prepared for the Legislature lists more than two dozen changes, many dealing with terminology. One change amends the rules for inmate disciplinary hearings, by more clearly describing what inmates may appeal and limiting inmate statements to 500 words on two sheets of paper. Another rule change “requires consideration of an inmate’s serious mental illness during due process hearings and disposition stage.” Spokeswoman Staab has not responded to questions seeking more information on what this entails. Wisdom member the Rev. Kate Edwards, a Buddhist chaplain who visits inmates in prison, said the DOC’s rule changes do not match its rhetoric. While the comments from Wall and Jess “make it seem like they’re trying to have a shift in attitude,” the new code still allows inmates to be sentenced to 180 days in segregation for minor offenses like loitering.